Meden and Hindalia Montano walked down the aisle officially as man and wife on Nov. 29, 2012. 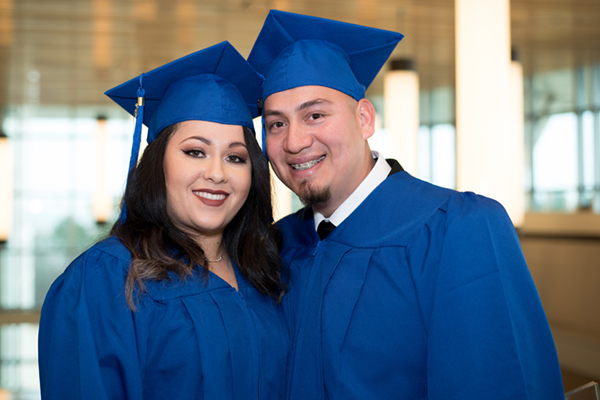 The couple walked down a different aisle Jan. 27 to accept their General Educational Development (GED) certificates with more than 20 family members applauding their accomplishment. Eleven men and women, including the Montanos, earned their GEDs through University of North Georgia's (UNG) High School Equivalency Program (HEP). HEP helps migratory and seasonal farmworkers and members of their immediate family obtain a GED, according to UNG's HEP web page. The program provides free textbooks and materials, GED testing, career readiness workshops, financial assistance, and flexible class schedules. Classes are taught in English and Spanish, allowing Spanish-speakers to learn the material in their native language. This was crucial for Hindalia Montano, who speaks very little English. 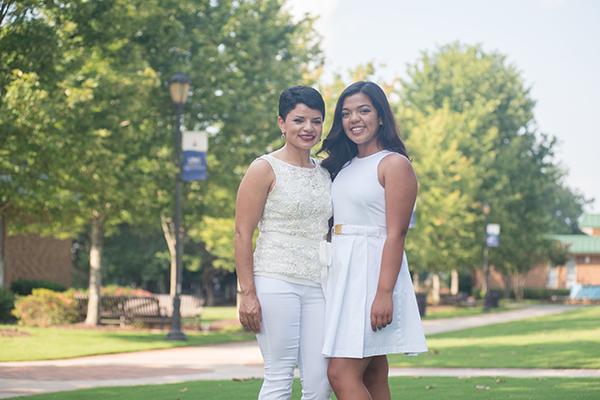 Meden Montano has a better grasp of English, but learning in Spanish helped. "We always wanted to get our GEDs, but we never learned about a program that allowed us to get our GED while learning it in our native language," Hindalia Montano said through an interpreter, UNG student Jeniffer Cuellar. The Lula couple was apprehensive about UNG's program, but seeing is believing. "In July, we came to the course induction and were invited to stay for the ceremony," Hindalia Montano said. "We saw a lot of people graduating." The Montanos enrolled in HEP classes in August 2017. Student, parent or guardian must have participated or be eligible to participate in the Employment and Training Administration, National Farmworker Jobs Program (NFJP) or other services and activities established under Section 167 of the Workforce Innovation and Opportunity Act (WIOA). Alejandro Ramirez, recruiter and outreach coordinator for HEP, said the Montanos finished the coursework quicker than most. While the program is designed in four- to six-month increments, many students take a year or longer to finish because of other educational barriers. The Montanos finished in less than six months. "It's a tremendous achievement," Ramirez said. He explained the Montanos supported each other from the start and were united in their goal. "They helped each other," Ramirez said. "He coached her in math and she did the same for him in the language arts." The Montanos attributed their success to the teachers. HEP is staffed with two instructors, Rubia Castro Diaz and Claudia Moran de Garcia, and one academic support specialist, Jean-Paul Eslava. The program is led by Christian Bello Escobar, director of migrant programs and services at UNG, and Nallely Guerrero, associate director. "It almost has a family feel," Hindalia Montano said. Meden Montano said he liked the course so much he hopes to continue his education as an electrical technician at UNG. Hindalia Montano also is tasking herself to learn the English language fluently. In the meantime, the couple enjoyed the moment of collecting their GED certificates and setting an example for their son. "Mainly … we wanted to show our son a good example of what a good education can do for you," Hindalia Montano said, glancing at her 10-year-old son Kevin, who attends Lula Elementary School.